The project „Education4Progress: Regional Cooperation to Improve EU Law Teaching” implemented by the SEELS Network and financially supported by the Western Balkans Fund, aims to provide a platform for exchange of information and dialogue on the most adequate models for EU Law teaching in South East Europe with the specific goal to enhance the quality of EU Law teaching of young lawyers in South East Europe. 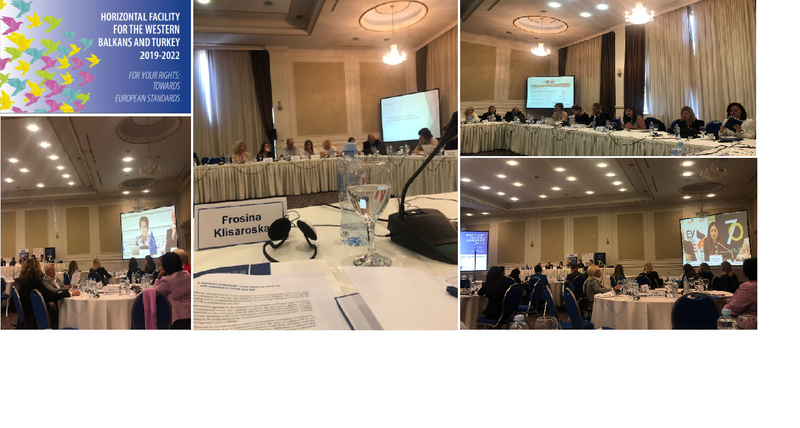 The central activity of the project was a Regional Conference – a gathering of scholars from within the SEELS Network who deal with EU Law to exchange their standpoints and views for the most adequate teaching model, as well as to define promising changes for the future. A survey for models of EU Law teaching was conducted at each of SEELS members in order to produce initial materials for a successful discussion at the Conference. 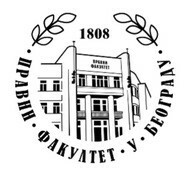 The “Education4Progress: Regional Conference to Improve EU Law Teaching” was held from 13 – 15 of November, 2018 at the Faculty of Law in Niš, Serbia. The core problems that were addressed at the Conference were: the discrepancies in EU Law teaching at the different Law Faculties in SEE; and difficulties for the Law Faculties to follow the rapid changes of the EU Law framework. Namely, the deep societal transformations in each of the respective states naturally affectes the higher education systems too. The conclusions and discussions of the Conference are published in this text, and are divided into 4 main sections: I. Study Program; II. Non-Formal and Continuous Education; III. Regional and International Cooperation and IV. Harmonization of EU-Law Teaching. 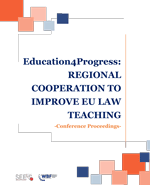 The publication "Education4Progress: Regional Cooperation to Improve EU Law Teaching - Conference Proceedings" includes the discussions and conclusions on the models of EU Law - the current status in the Region, as well as ideas for improvement and adaptation to the modern EU Law models of EU Law Teaching. 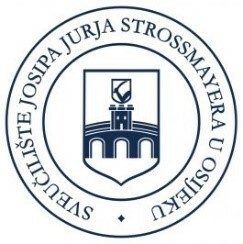 The Joint Reader was developed by the Ludwig Boltzmann Institute of Human Rights and the South East European Law Schools Network within the project „Legal Protection against Discrimination in South-East Europe” supported by German Cooperation and implemented by Deutsche Gesellschaft für Internationale Zusammenarbeit (GIZ). 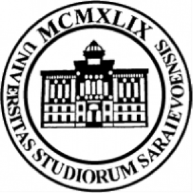 It is based on the lectures held during the Winter School that was implemented at the Law Faculty of the University of Belgrade in January 2018. The Winter School provided students with an overview about the concepts, forms, areas and grounds of discrimination defined at international and European level, from a comparative perspective of South-Eastern European countries. 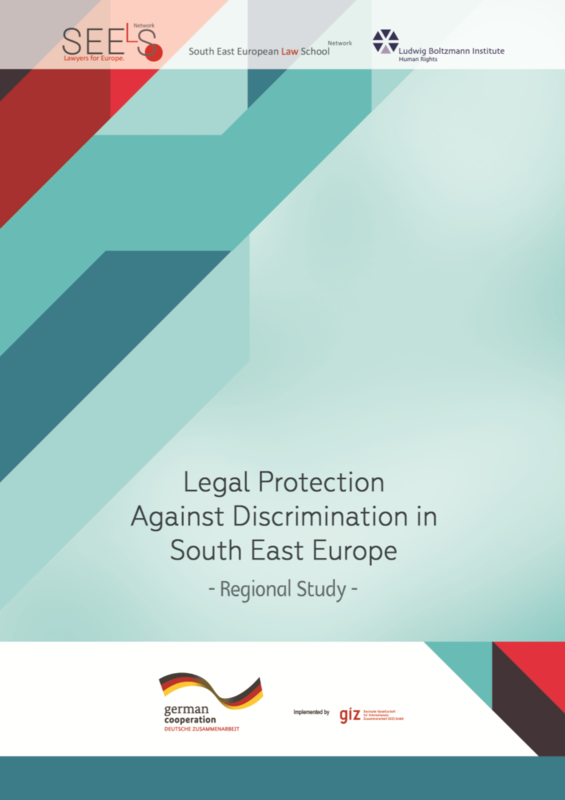 Students gained insights into protection mechanisms against discrimination, procedural aspects of discrimination cases and possible remedies for persons affected by discrimination. They also got the opportunity to actively involve themselves in discussions and workshops aiming at the practical application of the theoretical knowledge gained during the lectures. The program was based on the idea that discrimination is a system that creates and reproduces stories of norm and normality and uses real or perceived differences to label human beings. Discrimination creates hierarchies and results in unjust distributions of power and privileges. As discrimination hampers prosperity and curbs the development of individuals and societies, legislation protecting against and preventing discrimination has been established. 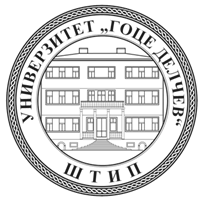 The description of the lectures and workshops displayed in the Joint Reader shall support the implementation of the course on “Legal Protection against Discrimination in Southeast Europe” at different law faculties, which are members of SEELS network, or support the introduction of various elements of the course into already established legal courses or legal clinics within the same. The descriptions of the learning objectives and the content (e.g. power point presentations), as well as the working sheets, case studies and information on background material are presented in a way so that they can be used as a solid foundation for lecturers who have basic knowledge of discrimination and want to prepare lectures and workshops on this topic. In the framework of the project, “Development of collective redress for consumers in South East Europe” implemented by Deutsche Gesellschaft für Internationale Zusammenarbeit (GIZ) GmbH, Open Regional Fund for South East Europe - Legal Reform a comparative research on “Collective redress mechanisms in light of the European Commission Recommendation (2013/396/EU) on common principles for injunctive and compensatory collective redress mechanisms” was conducted in six EU countries (Belgium, France, Germany, the Netherlands, Sweden and England/Wales) and six SEE countries (Albania, Bosnia and Herzegovina, Kosovo, Macedonia, Montenegro and Serbia). This Reader is the result of the project "Reflecting ethnic heterogeneity and tolerance towards national minorities in the legal education in South East Europe and Germany" or more precisely the Summer School "Protection of Ethnic Minorities" that took place in Durrës, Albania from the 3rd to the 10th of September 2017. - the hate crimes as discriminatory violations. 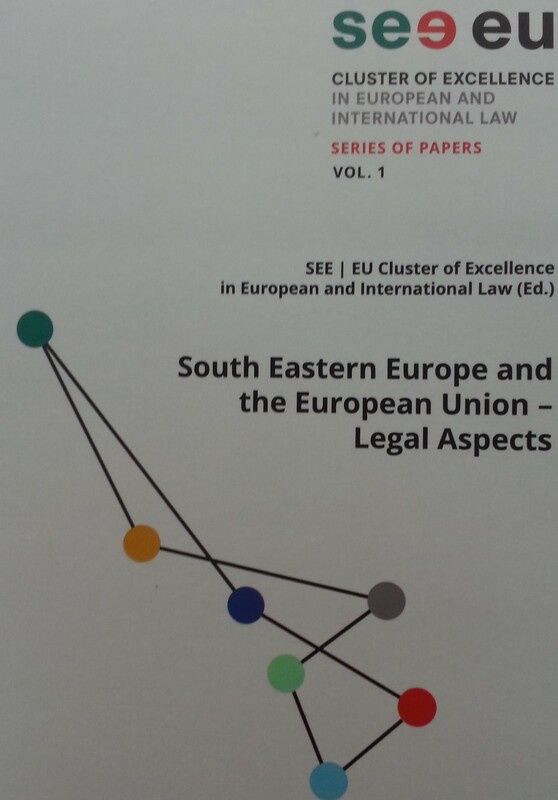 The publication “South Eastern Europe and the European Union – Legal Aspects” is the first volume of the series of papers of the SEE | EU Cluster of Excellence in European and International Law. The series is a compilation of articles from authors of different partner law faculties in Germany and South Eastern Europe. This collection of papers can serve as a forum for academic staff and young academics of the partner faculties in the SEE | EU Cluster of Excellence to publish their research results on relevant questions in European and International Law. 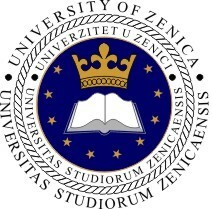 In addition to the traditional areas of law, specific areas of interest include: the integration of SEE countries in the European Union, issues of legal reform and implementation of the aquis communautaire, best practices in legal reform and approximation of legislation in the region of South Eastern Europe and the EU. The series will be published on a yearly basis and is peer-reviewed by the Editorial Board. 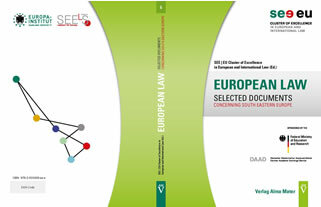 The issue “European Law – Selected Documents Concerning South Eastern Europe” as a part of the SEE | EU Cluster of Excellence in European and International Law, is consisted of the key documents of European law with special focus on South Eastern Europe. The collection includes relevant European Law documents from both the EU and the Council of Europe as well. It also includes the Treaty between the Member States of the European Union and the Republic of Croatia concerning the accession of the Republic of Croatia to the European Union, as well as the relevant Stabilisation and Association Agreements between the European Union and their Member states on the one hand and the Republic of Albania, Bosnia and Herzegovina, the Republic of Macedonia, the Republic of Montenegro and the Republic of Serbia on the other hand. 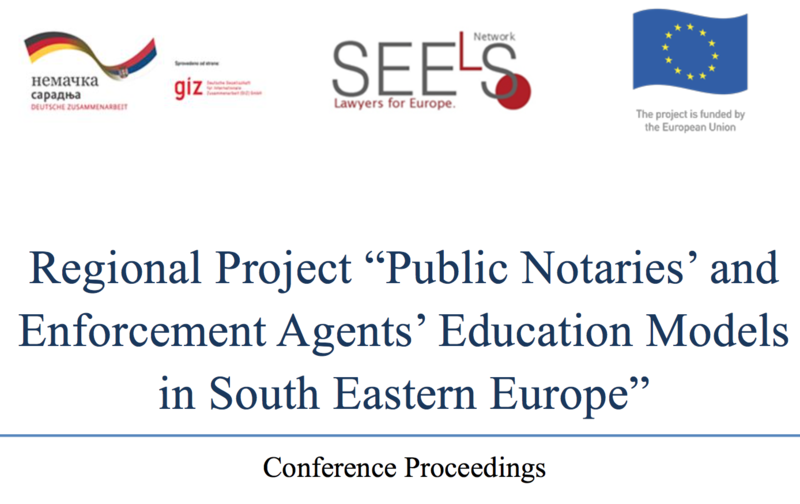 The Regional Project Public Notaries’ and Enforcement Agents’ Education Models in South Eastern Europe is carried out by the South East European Law School Network (SEELS) with support of the EU funded Rule of Law and Enforcement project as well as Deutsche GesellschaftfürInternationaleZusammenarbeit (GIZ), Legal and Judicial Reform Program in Serbia. The main aim of the project was to establish the level of cooperation which exists in continuous education of Public Notaries and the Enforcement Agents between the academia, the respective professional organisations as well as the judicial training institutions. The publication contains the observation and analyses of the findings that sourced from a survey which observed the extent to which the standards of EAS are implemented at the national level in the respective countries from the academic standpoint. 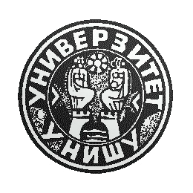 The survey and analyses were conducted during 2014 and represent the results that were presented at a Regional Conference that was held in Zagreb. The findings as well as the key conclusions and recommendations conveyed by the experts participating in this project, were summarized and published in this publication. 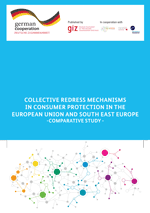 As the final result of the project that monitored the SEE courts’ capacity to apply EU Law in the past period this publication that contains the analyses and key findings of the engaged regional experts on this important issue was published. The survey succeeded in creating a practical as well as theoretical framework which could be used for monitoring the capacities of the SEE aspirant countries’ courts for application of the EU laws during their pre-accession (and post accession) stages in future. The findings of this, we hope first in a series of many, monitoring were published in this book and they give structured insight in the application of the EU law in the region by the respective courts. This publication represents a result of the regional research of the SEE countries on the EU integration and policy issues, that is a product of joint efforts and research of the experts in these specific fields and was carried out in the 2014 culminating with the Regional Conference that was held on 27th and 28th of May, at the Faculty of Law in Rijeka. The 9 regional and 2 international experts were presenting their findings on the research that was carried out in 4 specific fields. Their observations, conclusions and recommendations were published in this publication. 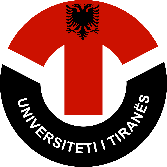 This publication is a sublimation of the works of the most distinguished young researchers from the region of SEE who have participated at the SEE Post-doc Colloquium in Public Law in Tirana, held from 10th to 11th of April 2014. The discussions and the topics that were analysed at this event and as a result published in the papers of this publication contain observations on specific institutes of Public Law including – international law, human rights, constitutional law, administrative law and criminal law. The goal of the colloquium and this publication subsequently is to contribute towards exchange of ideas and knowledge among the young researchers of the region. 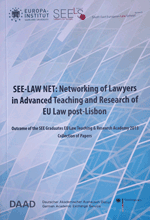 This publication is a final product of the project SEE Law Net: Networking of Lawyers in Advanced Teaching and Research of EU Law post-Lisbon. The project was implemented by Europa Institut, Saarland University and SEELS in 2013. The project was targeting young academics from the SEE region which were trained in methodologies of teaching and research in the field of EU Law. As a final activity the participants were asked to provide a paper on different legal topic mainly comparative analyses of certain EU Law aspect vis-à-vis the legislation of their own respective countries. For some of the participants this was also a firs time to publish in a publication edited by an International Editorial Board. The Book includes the results of the work and researches of the outstanding academics being members of the Civil Law Forum presented at the Third Civil Law Forum Regional Conference held on 11th and 12th March 2013 in Tirana. The collection of articles within this Book are prepared by the members of the Civil Law Forum and supported by numerous experts, academics and young researchers from the SEELS members. The topics elaborated are divided into five parts of this Book: 1) Autonomy and antidiscrimination in Private Law; 2) Arbitration; 3) Autonomy of Will in the Civil Law; 4) Dejudicialization of Enforcement Function; and 5) Notary in the Aim of Unburdening the Courts. The collection of articles within this Book are prepared by the members of the Civil Law Forum and supported by numerous experts, academics and young researchers from the SEELS members. The topics elaborated are divided into six parts: 1) Recent Developments in the field of Civil Law in South East Europe; 2) Liability for Material Defects; 3) Liability for Legal Defects; 4) Remedies for Non- performance in Sales Contracts - Damage and Interest; 5) E-conclusion of Contracts; and 6) Unfair Contract Terms in General Contract Law. The collection presents the results of the working groups in two volumes: Volume I published in English language and Volume II published in local languages. In each of the two Volumes, at the beginning the contributions per each of the six topics are given by the members of the Civil Law Forum, followed in Annexes with the comparative analyses and country reports prepared by the young researchers from the SEELS members. The publication is result of the SEE Post – Doctoral Colloquium in Private Law, contain the researches presented and discussed at the event. The areas of law that are covered in the publication include different fields of Private Law,: Civil Law, Family Law, Commercial Law, Labour Law, Competition Law, Private International Law, Civil Procedure and European Private Law. 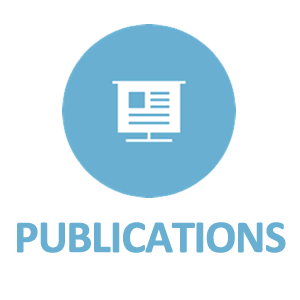 This publication, edited by International Editorial Board, is a form of a documentation of the research of the authors in their respective fields that were covered on the colloquium held in Zagreb in September 2012. This publication was the final output of the project Summer Academy – Rule of Law, Human Rights and European Union. It contains selection of academic papers by a distinguished pool of law professors from the SEE countries and Germany who delivered lectures at the event which was held 25th and 26th of June in 2012 in Montenegro. The summer academy was an excellent opportunity for exchange of ideas and comparison of experiences among experts as well as for creation of common platform for future work of the SEELS members in their joint efforts towards the common coal for integration in the EU through the respect of Rule of Law and human rights protection. The publication was created to serve as a regional manual for students, wider academic and social community, as well as to serve as a basis for further exploration and research in the field. As a final output of the related project the publication – Legal Perspectives of Gender Equality in South East Europe was published. This book represents a comprehensive analysis of the national legal framework and compliance of the same with the EU Gender Equality Law in the SEE countries. In addition to this the analyses also tackles the situation with the national policies and institutional framework on gender equality, gender equality in legal professions and legal education, Curricula Gender mainstreaming and addressing the gender bias in judiciary training programs, giving concrete conclusions and recommendations. 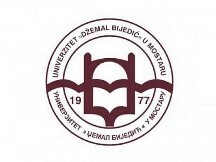 This publication comes as a direct output of the Regional Conference on “Legal Perspectives of Gender Equality in South East Europe” which was held from 24th to 25th September in 2012 at the University of Sarajevo, Faculty of Law. The Project “Regional Implementation of the Convention on International Sales of Goods and International Commercial Arbitration” (CISGICA Project), part of a broader effort of the Deutsche Gesellschaft für Technische Zusammenarbeit (GTZ) to improve the legal framework in South East Europe, was launched in partnership with the United Nations Commission on International Trade Law (UNCITRAL) and other regional institutions with a view to strengthening an enabling regional environment for cross-border transactions through the promotion of a harmonised legal framework. This collection of articles in the field of law is presented to you by the Civil Law Forum for South-East Europe. 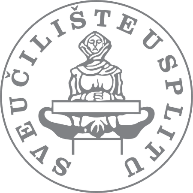 The Civil Law Forum was founded with the support of the Deutsche Gesellschaft für Technische Zusammenarbeit (GTZ). Under the umbrella of the „Open Regional Fund for South-East Europe – Legal Reform” GTZ has since 2007 been conducting a variety of regional activities with the aim of bringing together legal practitioners, professionals and scholars of South-East Europe around the central legal reform topics arising from the process of approximation towards the European Union. Therefore GTZ supports regional activities and initiatives that focus on cross-border and region-wide cooperation and networking in order to support and foster the reform processes in the various countries. Against this background GTZ is very proud to present hereby the first collection of legal articles that have been prepared by members of the Civil Law Forum together with legal experts from South-East Europe. The Civil Law Forum consists of outstanding experts in the fields of Civil and Commercial Law who have been appointed by legal and academic institutions in South-East Europe. U periodu od 19.03. do 22.03.2009. godine održan je Regionalni sastanak uZenici na temu “Notarijat i njegova uloga u transformaciji zemalja Jugoistočne Europe”. Na ovom sastanku su sudjelovali predstavnici ministarstava pravde zemalja u regionu i predstavnici notara i notarskih komora. Sastanak je organiziran od strane GTZ-a Otvorenog regionalnog fonda za Jugoistočnu Europu – Pravna reforma (ORF) i Notarske komore Federacije Bosne i Hercegovine. trenutno još nema. Smatramo da će radovi pomoći boljem upoznavanju stanja u notarskoj službi cijelog regiona odnosno olakšati implementaciju zakona o notarima. Veoma je bitno da se u početnom stadiju implementacije zakona koji regulira notarijat upoznaju i prenesu kako pozitivna tako inegativna iskustva zemalja u kojima već egzistira notarska služba, čime se olakšava i pospješuje put uspostave notarske službe.